This is the XP Character Map, this is a neat little utility. 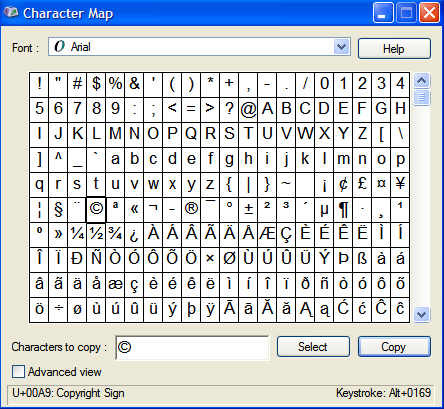 Ever wonder where people get special characters that aren't on the keyboard, you got it, the character map. You can copy and paste characters on to a document, like the copyright symbol © you can copy and paste these into your documents. You can also make your own special characters by using the Private Character Editor, you get that by going to Start-Run and type in eudcedit you can make a special character and link them to your Font Library for repeated use, cool beans! lol.